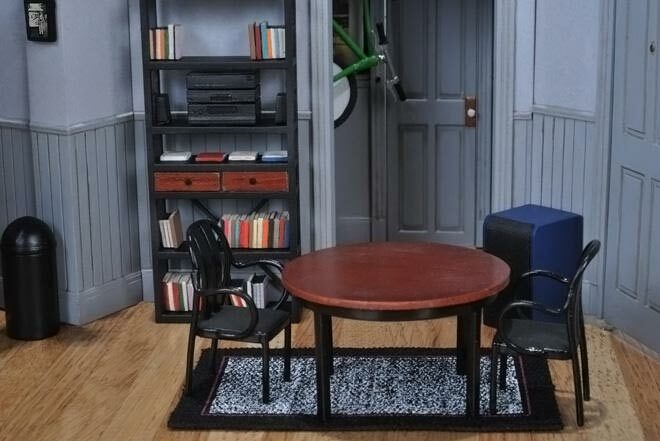 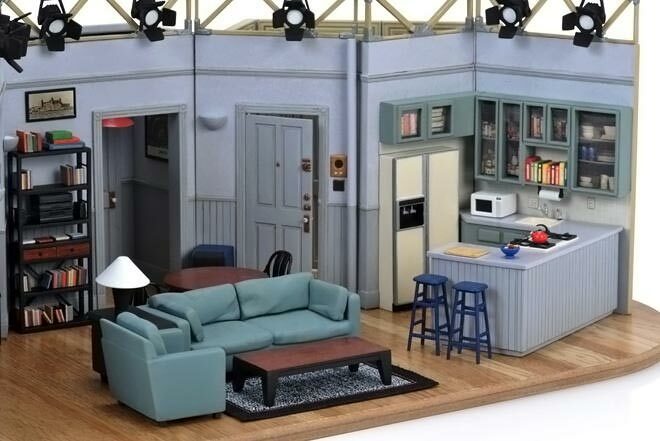 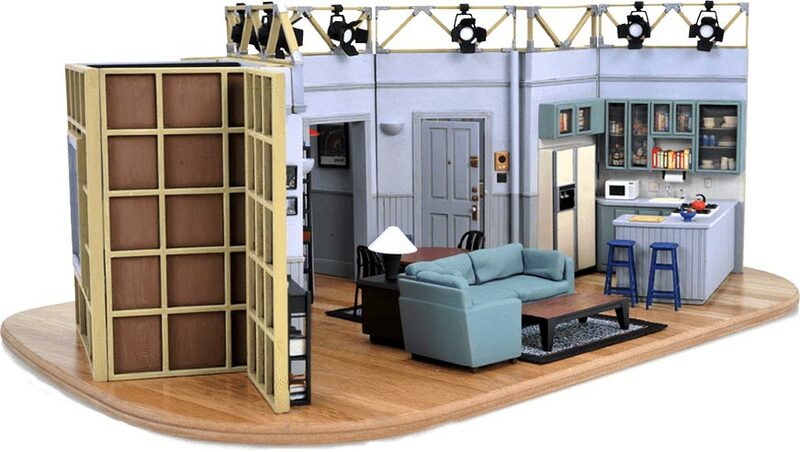 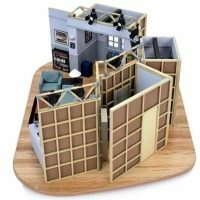 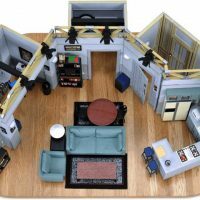 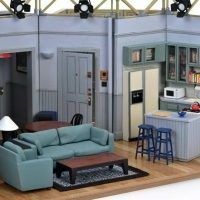 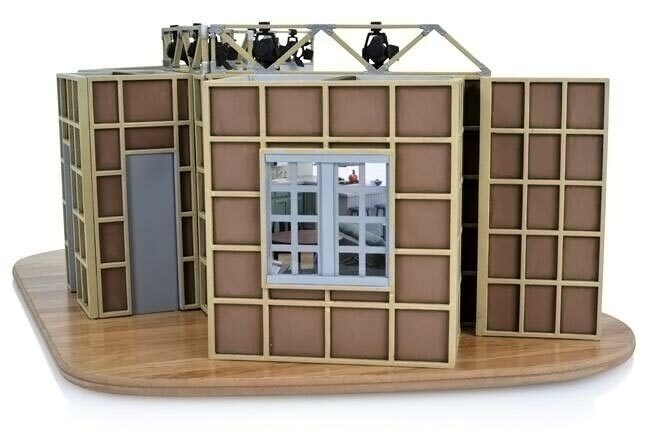 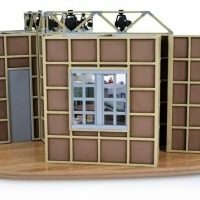 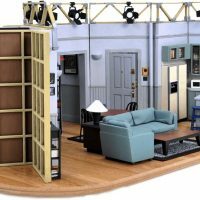 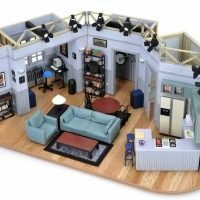 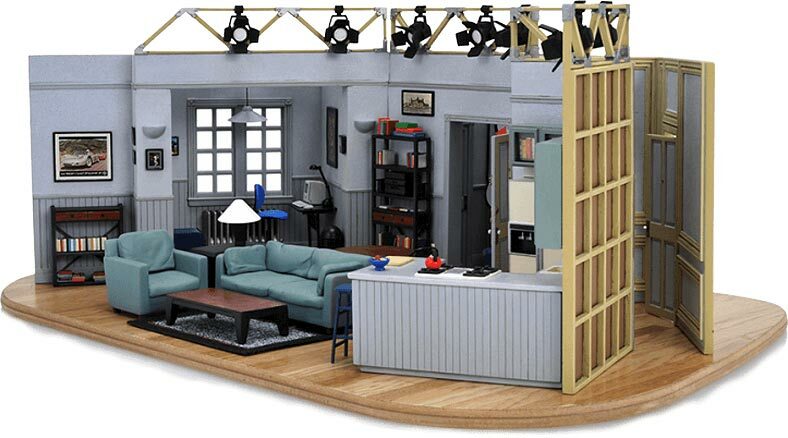 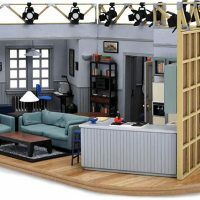 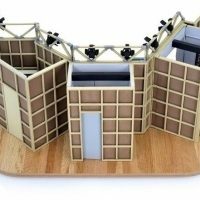 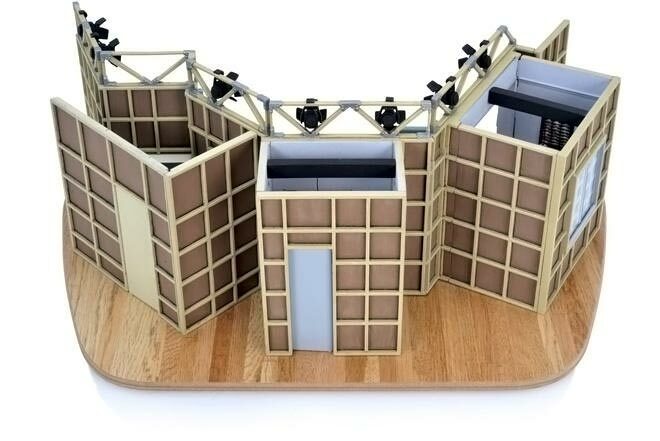 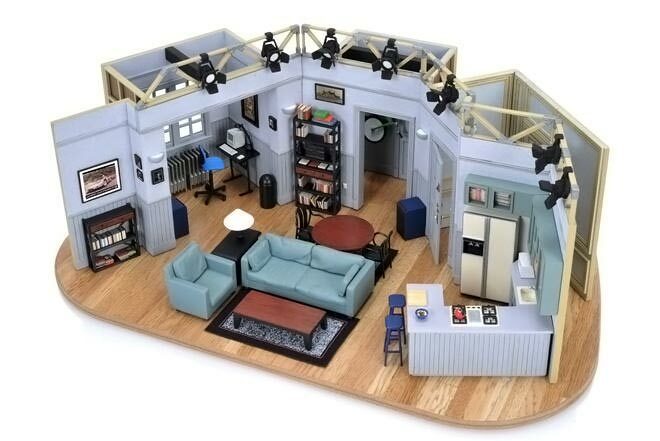 Reminisce about the 90s with this incredibly detailed Replica Seinfeld Set. 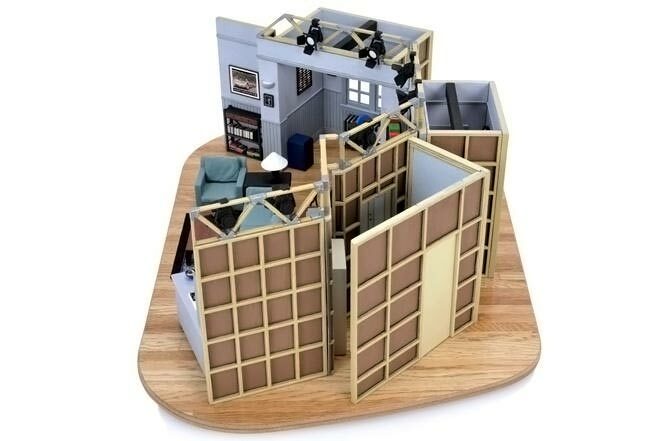 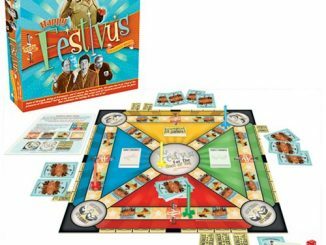 Sure to be a conversation starter, and a perfect collectible for any Seinfeld fan, this Seinfeld Set replica is astonishingly detailed and accurate. 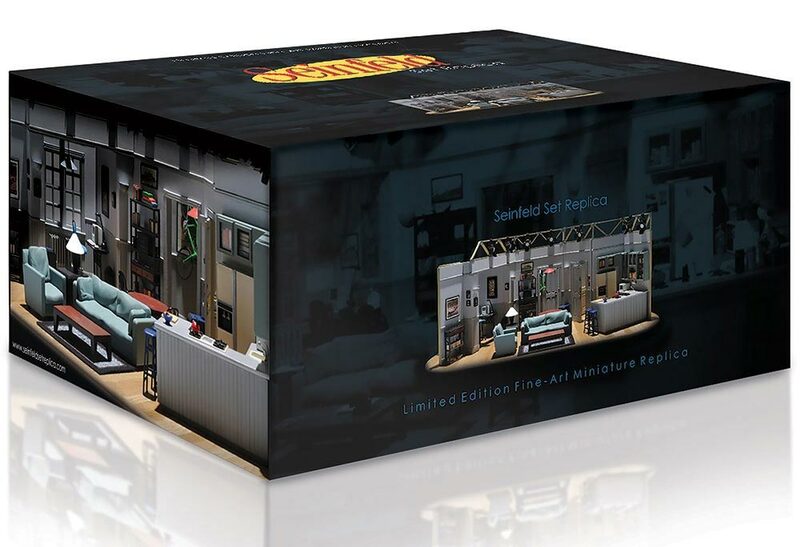 It is so detailed that it takes eleven molds to create the main structure and in total there are over 175 pieces. 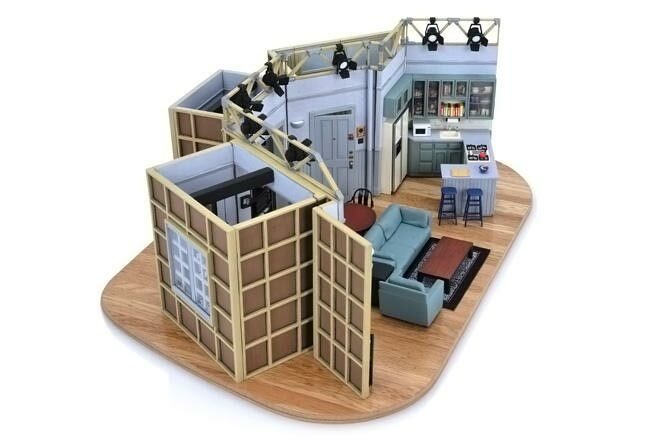 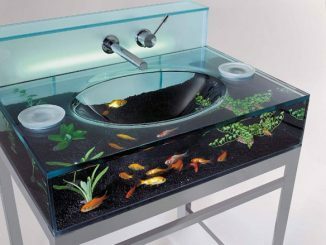 In fact, it takes nearly 100 hours to paint and assemble. 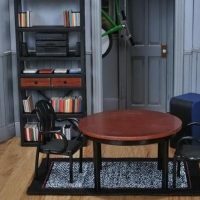 The wood bases are cut and painted by hand, the carpet fabric is screen printed, and the metal radiators are hand polished. 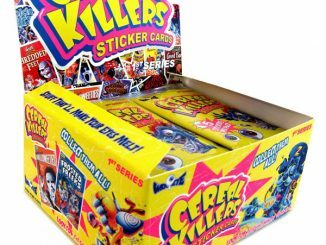 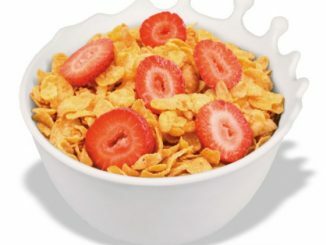 No detail is overlooked—you even have cereal boxes over the kitchen sink. 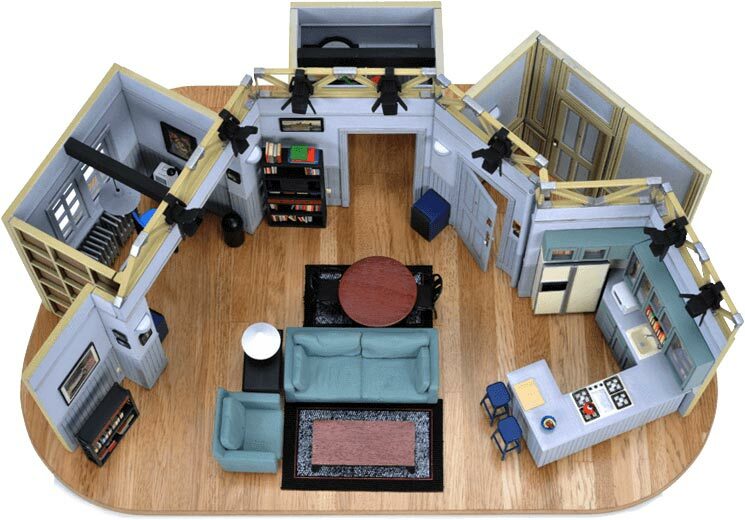 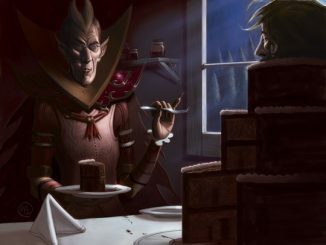 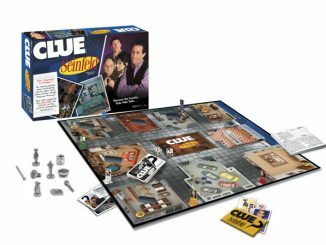 Keep looking at it and you will expect Kramer to barge through the door. 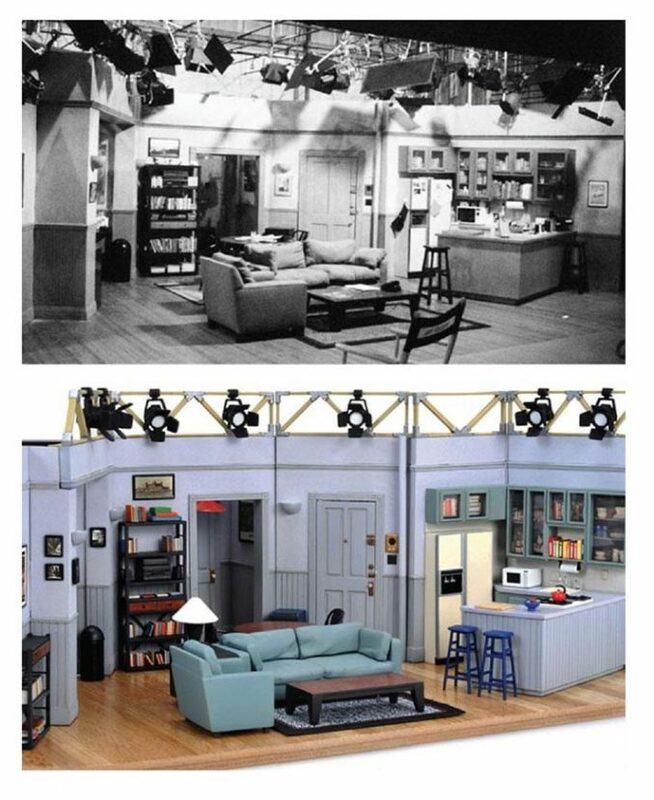 In the picture above comparing the real set to the replica, you can see just how impressive this collectible is. 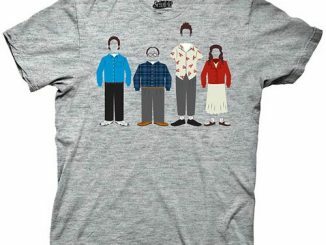 Made by Artuitive, this is a limited edition of 5,000 with each piece being hand numbered. 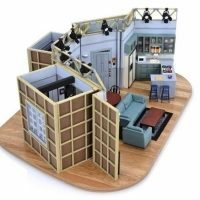 As a bonus, each order included an actual piece of wood from a Seinfeld TV series prop door with a special collector’s commemorative card. 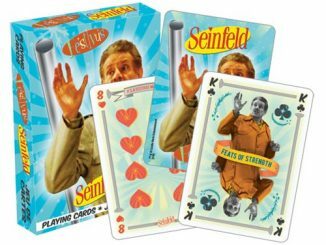 BONUS: Special Collector’s Commemorative Card with an actual piece of wood from a Seinfeld TV series prop door included with each order. 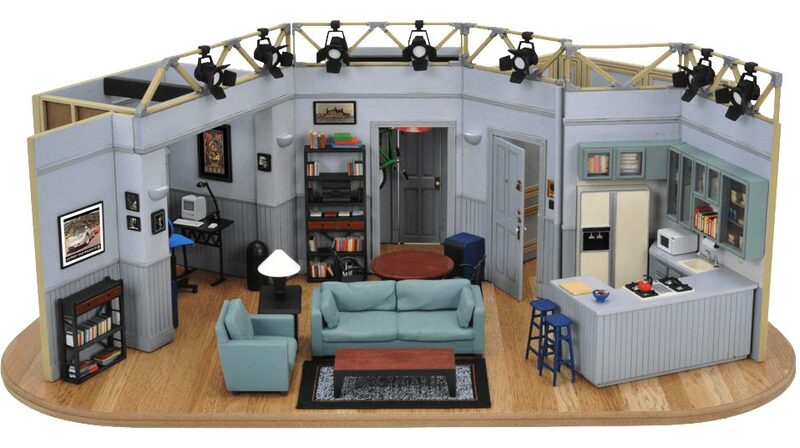 This limited edition Replica Seinfeld Set is $499.99 at SideShow. 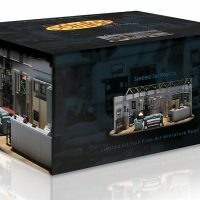 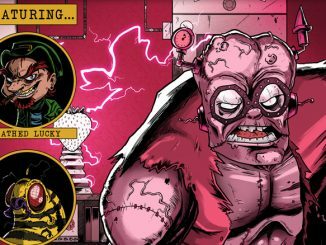 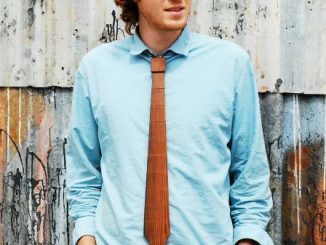 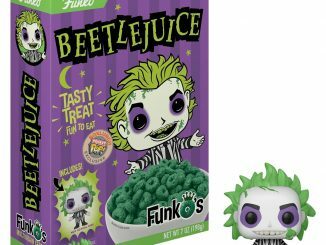 It is pre-order now, but is scheduled to be in stock soon: October – December 2018.